NEW YORK (CNS) — The hottest video game console on the market is 30 years old. 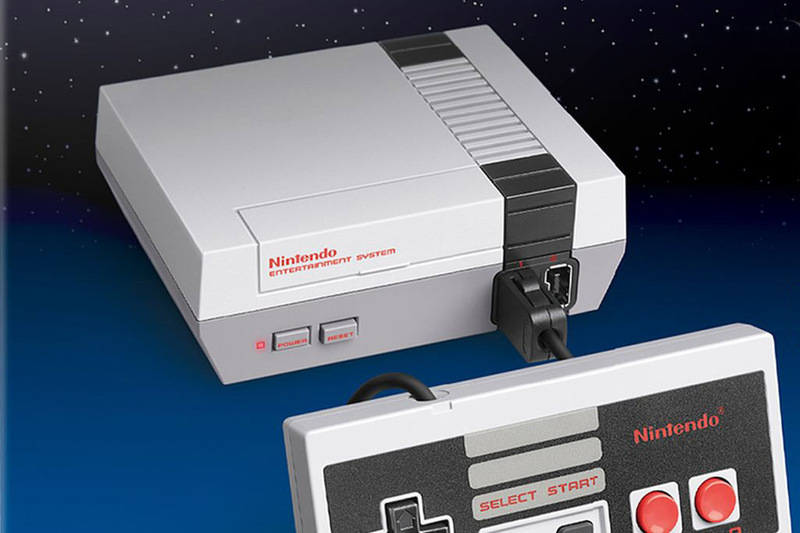 Nintendo recently released the NES Classic Edition, a mini-version of the Nintendo Entertainment System that enjoyed wide popularity in the 1980s. The updated device has been flying off the store shelves, and has been selling for several hundred dollars on eBay. Why the demand? The pull of nostalgia, to be sure. But a further attraction is the opportunity to play games that are both fun and safe for children. The NES Classic is a self-contained unit that costs $60 and comes with 30 preloaded titles. Some are well-known classics: “Super Mario,” “Donkey Kong,” “Zelda,” “Pac-Man,” “Final Fantasy.” Other titles, like “Excitebike,” “Castlevania” and “Ice Climber,” are more obscure. This is gaming from the dawn of the digital era. So kids raised with the eye-popping graphics of the X-Box One and Sony’s PS4 might wonder what all the fuss is about. Adults may have less trouble recognizing the virtues of these long-lasting stalwarts. Rather than intricate plots that take a week to learn, these games feature lovable characters and easy goals. They’re also free of violence and sexual content. The imagery of some has long ago entered the collective consciousness: In “Donkey Kong” a little Mario has to travel up slanting levels, hop over barrels being tossed by a big gorilla, and save the girl. “Pac-Man” is a race to eat as many dots as possible before getting caught. “The Legend of Zelda” is a sword-and-sorcery adventure. And of course, the Mario Brothers are here in all their candy-colored glory, complete with Reagan-era 2-D side-scrolling graphics. The only problem with the new NES is the cord connecting the console to the main unit. As many angry gamers have observed, it’s only about 2 feet long. Thirty years ago, this was not a drawback. At a time when remote controls were not yet universal, players were used to sitting close to the TV. Today, one obvious and easy solution is to purchase a longer HDMI cable. Another is to get a wireless controller — they’re being sold, ironically enough, not by Nintendo, but by the company’s imitators. Either of these painless fixes will open the way for a trip down memory lane for oldsters and a novel experience of “the good old days” for the younger set. “Castlevania” is obscure? The game that spawned over 20 sequels and the series which continues to this day? I’d suggest doing some more research on your next story before turning it in.